ST. GEORGE — The SunRiver St. George Ballroom was decked out in the colors of Mardi Gras Saturday evening for the Assistance League of Southern Utah’s spring benefit dinner and auction. 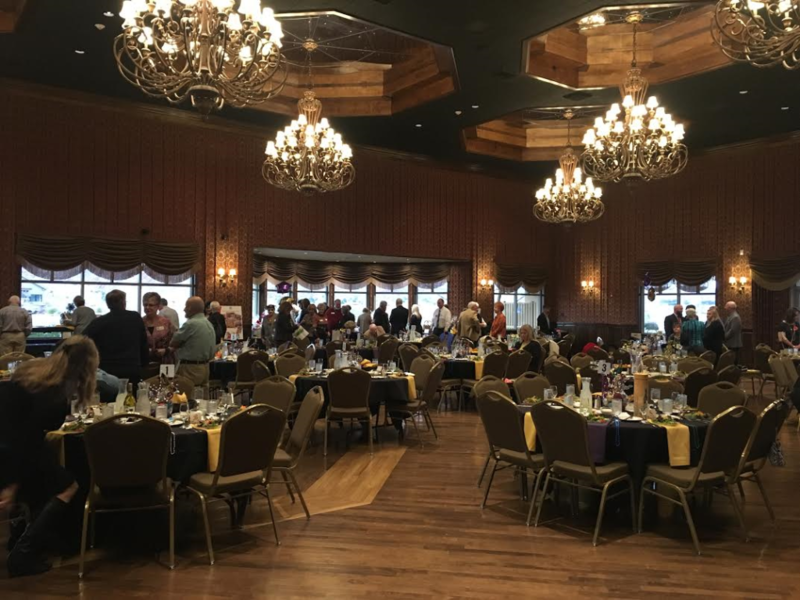 Guests filled the room for an evening of dining and fundraising vital monies to help the nonprofit in providing needed items for impoverished school children in Washington County. 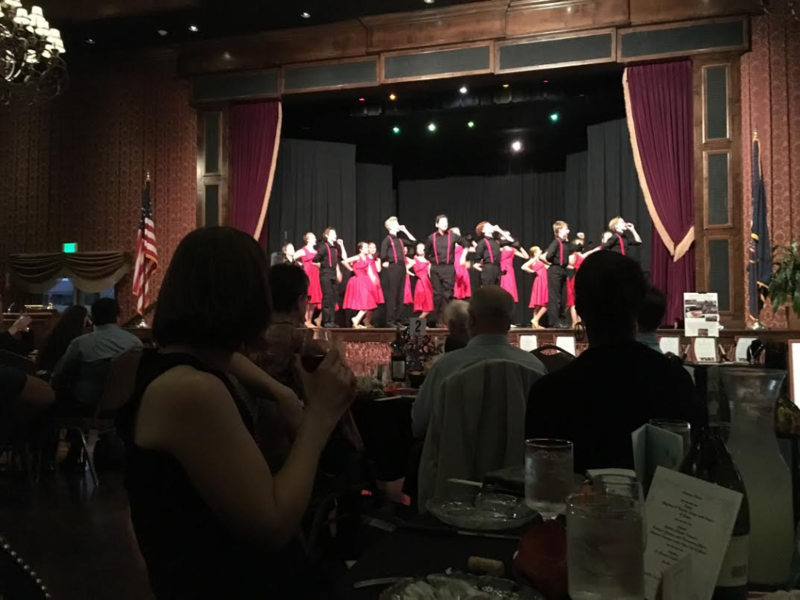 The Assistance League of Southern Utah is a nonprofit organization whose goal is to enrich the lives of children in this community, said Susan Gilliam, the organization’s president. The league accomplishes its goal by providing school supplies, books and clothing to impoverished and homeless school children in the county through programs such as “Operation School Bell” and others. Assistance League also serves in the schools, implementing various reading programs. The Southern Utah chapter is nine years young, Gilliam said, adding that they have over 90 members. These 90-plus, all volunteer members dedicate time and resources to bettering the lives of less fortunate children. It is a cause that Gilliam said gives her goosebumps. A large part of what the Assistance League of Southern Utah does for children is to raise money to take them shopping for new school clothes. For most if not all of the students the organization helps, these shopping trips mark the first time the students have ever had new clothing. And all across Washington County the stories are similar. I remember one little boy who was so excited when he got his new clothes, he went home and cut all the tags off and put all the tags up on his mirror because he had never had new clothes, he had always worn hand-me-downs. Bishop was so moved by the efforts of the Assistance League of Southern Utah during her tenure as a counselor that when she retired she decided to join the organization, she said. “I joined the Assistance League because I knew firsthand what it meant to the kids,” Bishop said. Pike said that the same “Dixie Spirit” still exists today in large part because of the Assistance League of Southern Utah. Though in many ways the gala brought attention to the good work that the organization does, Gilliam insisted that it was all done for the benefit of the children. Entertainment for the evening was provided by Vista Rising Stars, a singing and dancing group from Vista Charter School. Fundraising efforts included live and silent auctions, opportunity drawings and sponsorships to provide money for shopping trips for students. A donation of $100 can sponsor a shopping trip for one student. “It’s all about the kids,” Gilliam said.